Co-trainer Ben Hayes has predicted a black-type future for Victory Kingdom after her Sandown win. A dominant maiden win at Sandown by Victory Kingdom has signalled the lightly raced filly is on track for a crack at better-class races in the coming months. Victory Kingdom was having her second start in Monday’s Mypunter.com Plate (1200m) and the $1.90 favourite led and kicked away in the straight under Craig Williams to win by 3-1/4-lengths. Taxi ($3) led home the chasing pack with Everywhere Mann ($31) another two lengths away third. “Craig rode her perfectly when she jumped well,” co-trainer Ben Hayes said. “She was up the front with her big ears pricked and she never looked like losing. “She really put them away well, so it’s very exciting. Victory Kingdom finished second to Beerz With Clint on debut at The Valley last month after beginning awkwardly but she got things right in her second appearance at the races. “She had had a bit of time between runs and that was my only worry going into this race,” Hayes, who trains in partnership with his father David and cousin Tom Dabernig, said. Williams has a good opinion of the filly and predicted she had a good future. “It didn’t hurt me to have a horse outside us up front to keep her concentrating but once I released her and asked her to lengthen at the top of the straight she did run away from them nicely,” Williams said. 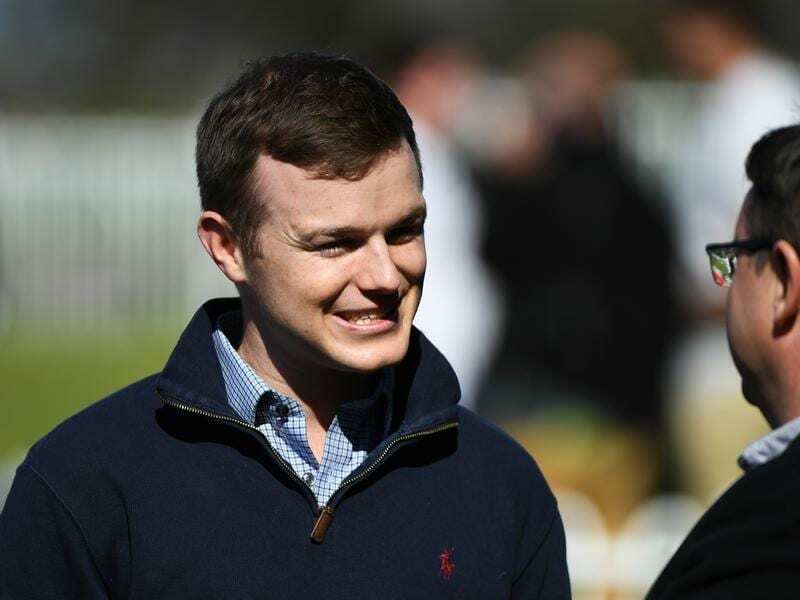 Mark Zahra and apprentice Lachlan King both rode winning doubles at the meeting with Zahra guiding Rossa’s Reward and Honourable Mention to victory while King won consecutive races on Kazio and Absolute Heaven.